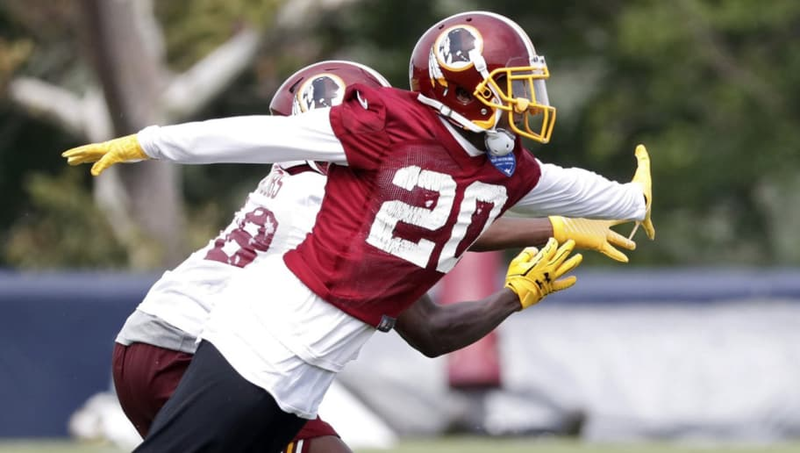 The Washington Redskins will be without cornerback Josh Holsey for the first part of training camp. The seventh-round pick in the 2017 draft impressed last season on special teams and minimally on the defensive side of the ball. While the Redskins were hoping to see a big jump from the young corner in his sophomore season, they'll have to wait because of an injury he suffered right before camp. A freak accident will sideline Redskins CB Josh Holsey for the start of training camp after a table fell on his foot, sources tell me and @RapSheet. Last year's 7th rounder appeared in 12 games as a rookie and the team has high hopes for him moving forward. Holsey is already a great story with the abbreviated success he's had in the ​NFL. The former Auburn Tiger suffered two separate ACL injuries while in college, making him a risk most professional teams would be unlikely to take. Of course, Washington decided to take a gamble, and thus far the seventh-rounder has been an effective special teams player. Hearing that Redskins CB Josh Holsey enters training camp with a foot injury, per sources. The extent of injury unclear. Jay Gruden talks at 4. While the specifics of the injury are unknown, Holsey and the Redskins without a doubt are hoping for speedy recovery.